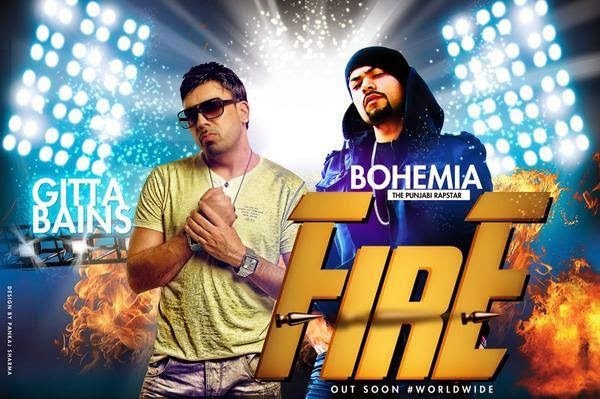 Here is another update from Bohemia, Haji Spinger & Gitta Bains on Twitter & Facebook. Official poster of song titled "FIRE" is out now on all the official pages of the artists. Bohemia is going to release this song real soon with his one and only friend Gitta Bains & Haji Springer on the beat. Dont miss this one out at all & do take a look at Bohemia's past release "Akkha Mumbai".